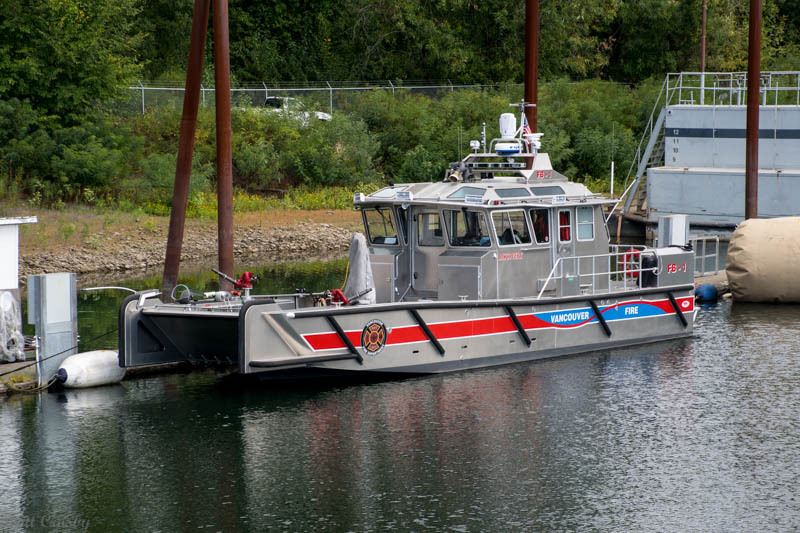 2015 Moose Boats M2-38 Fireboat capable of about 3,000 gpm. 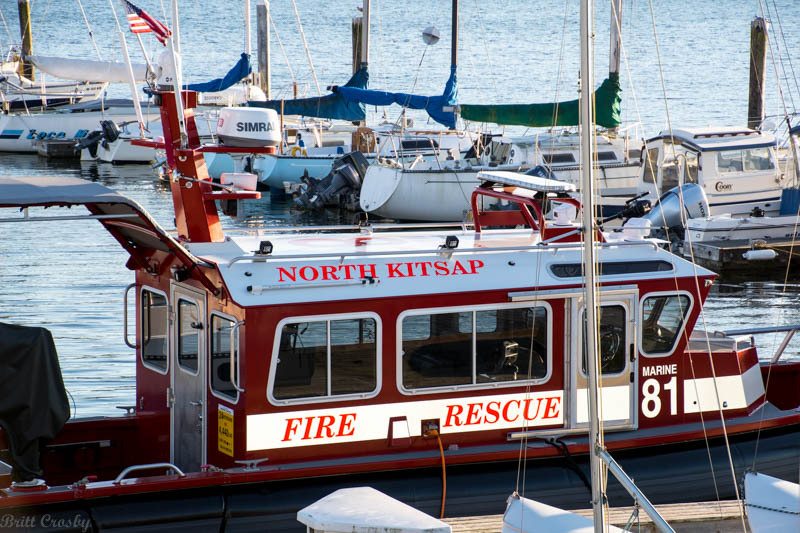 took delivery of this North River Boats 38' Fireboat in April 2016. It pumps approximately 1,500 gpm. 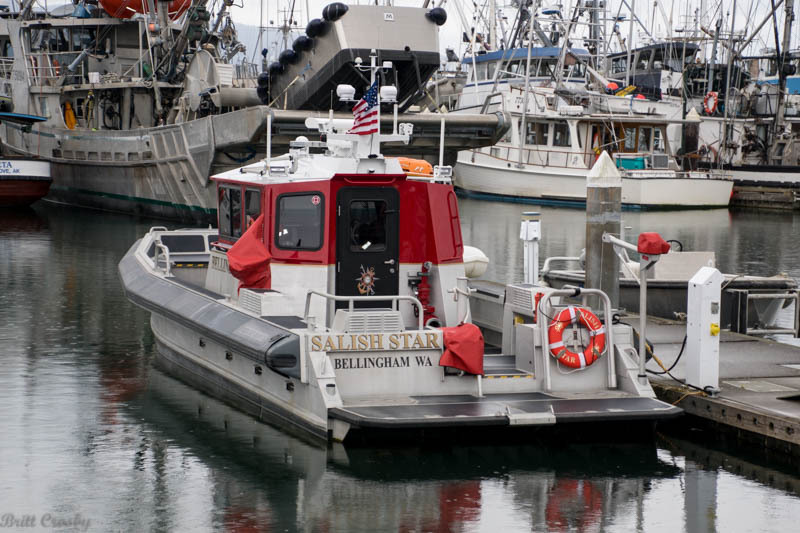 It is docked in Kingston, WA. 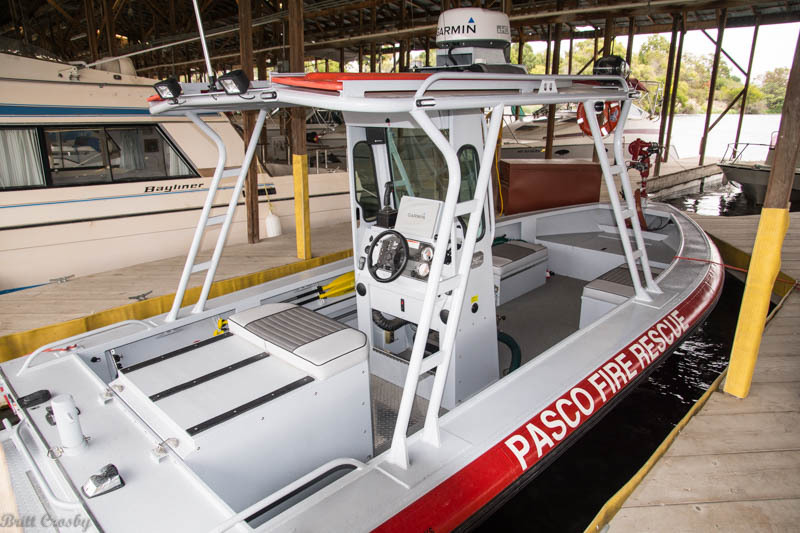 fire rescue boat operated by the Pasco Fire Department. 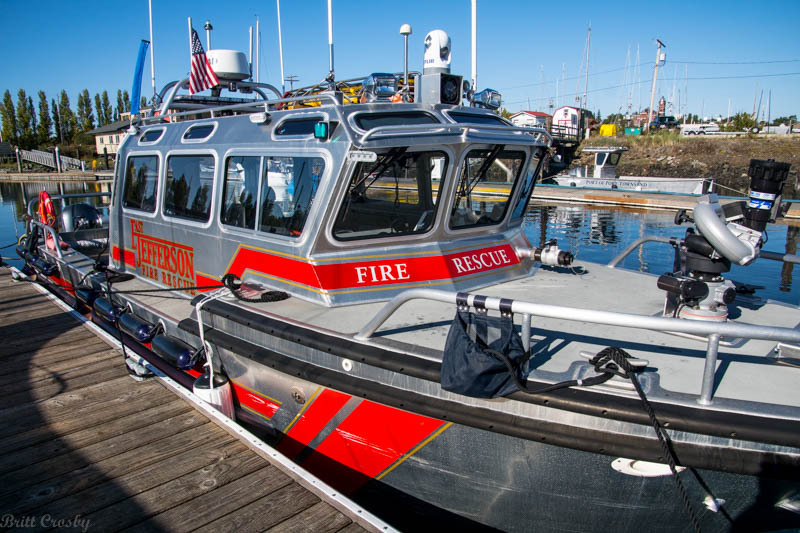 The East Jefferson Fire Rescue took delivery of this Lee Shores fireboat in 2014. The 33' LOA vessel is capable of in excess of 1,250 gpm. It is docked in Port Townsend, WA. on the Lake River off the Columbia River in Ridgefield, WA. It is equipped with twin Yamaha 300 HPs and a 1,250 gpm pump. 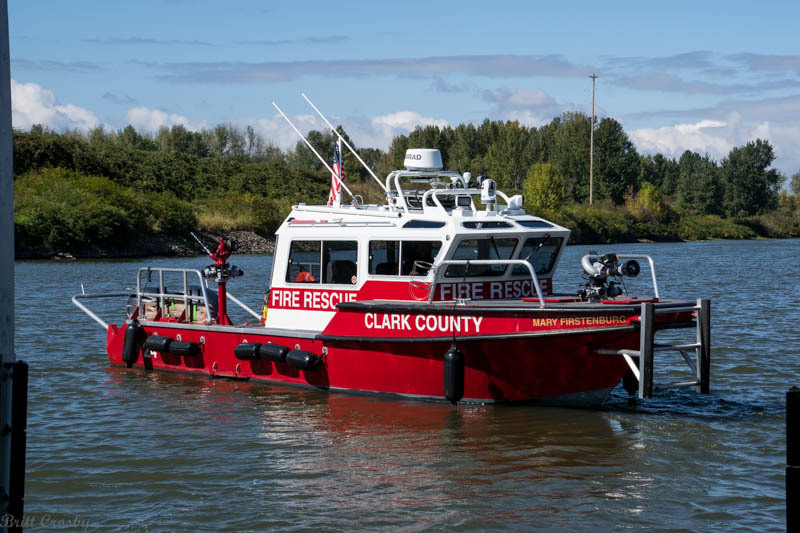 Clark County, Washington also operates this aluminum river rescue boat. 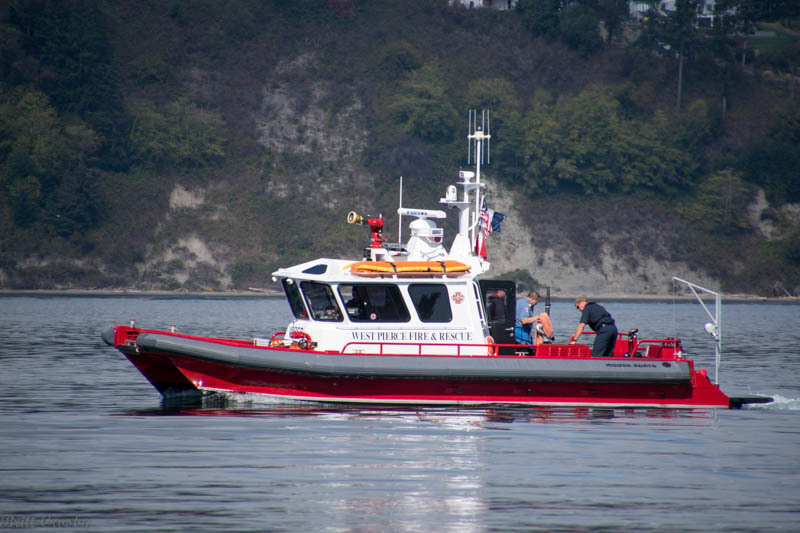 It is housed with Fireboat 24. 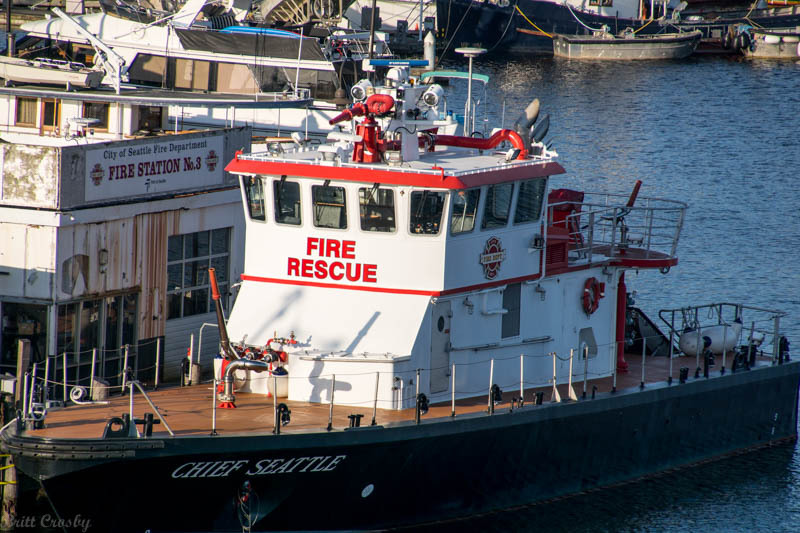 Now retired, the 1927 Fireboat Alki served the Seattle waterfront until 2013. It was 123' in length, with a 26' beam, and 10' 8" draft. It could pump in excess of 12,000 gpm from an assortment of monitors. The vessel was built by Pacific Coast Engineering in Oakland, CA. 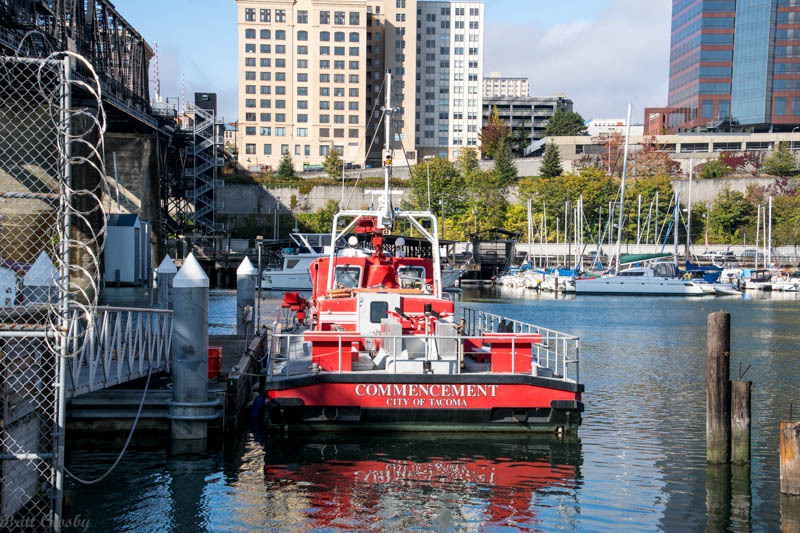 The City of Seattle Fire Department's Fireboat 1 operates out of the Fisherman's Terminal. 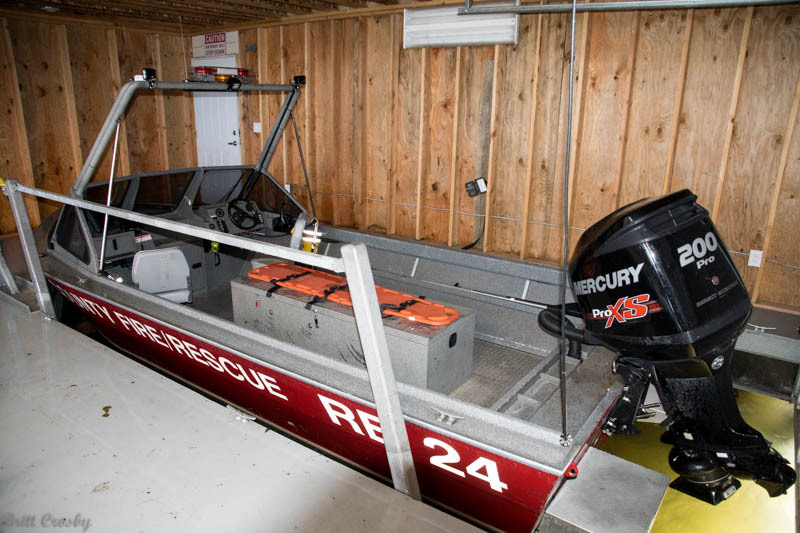 The 2006 MetalCraft 50' boat is rated at 6,000 gpm. 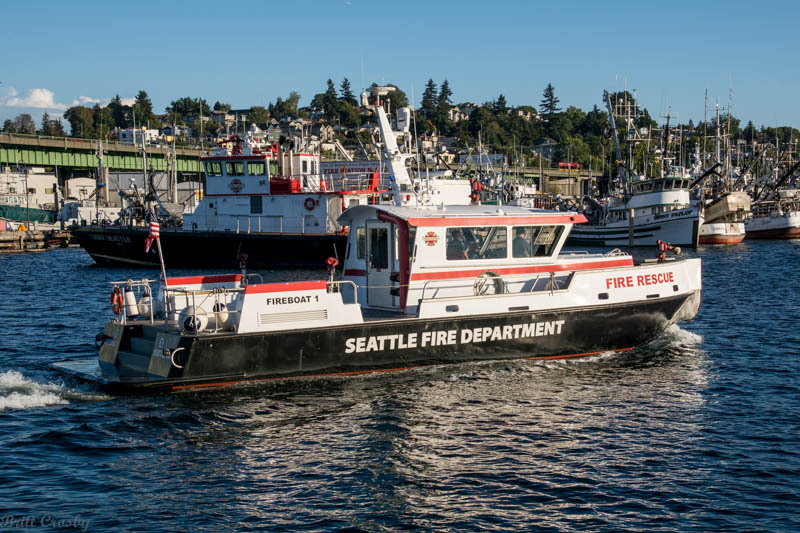 Seattle's Fireboat 2 was built by MetalCraft in 2014. The MetalCraft Firestorm 50 is capable of 7,250 gpm. 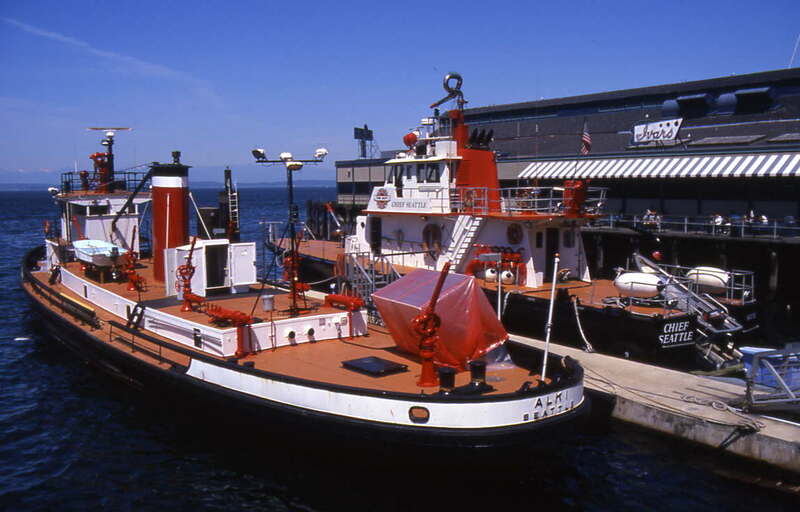 It was based on the design of Fireboat 1. The "Chief Seattle" was built for Seattle in 1983. The 97' long vessel was completely retrofitted in 2013. It is capable of 10,000 gpm. 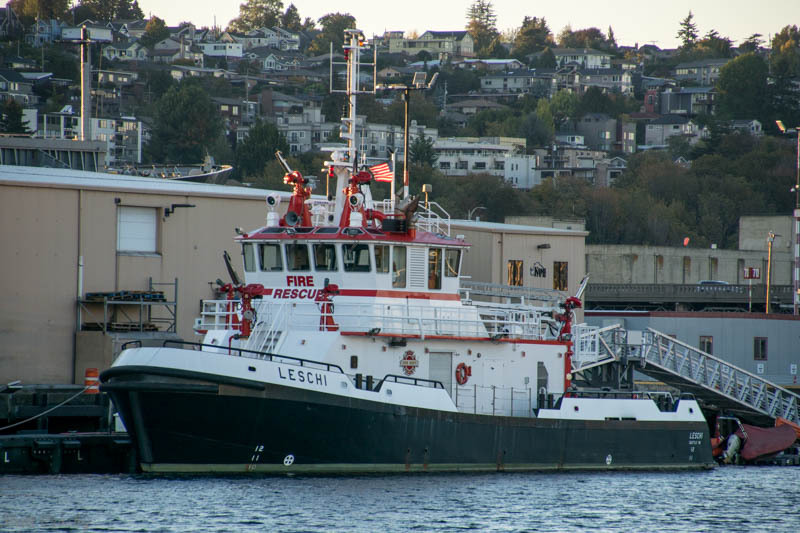 The largest of Seattle's current fireboat fleet is the 2007 108' long "Leschi." The vessel is capable of 22,000 gpm. 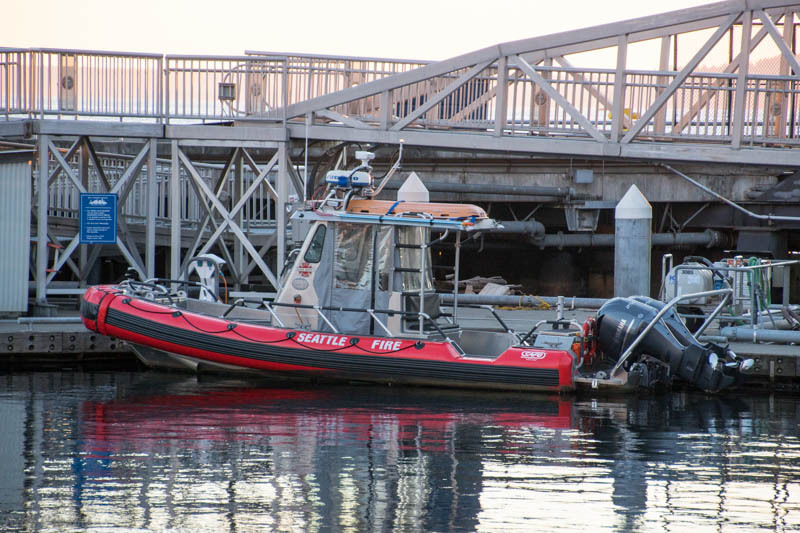 The City of Seattle also utilizes this Safeboat as a rescue boat. 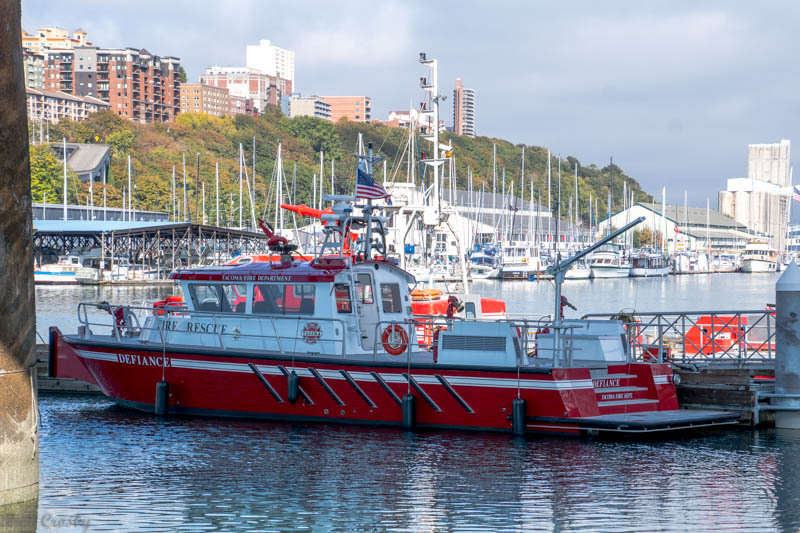 The City of Tacoma, WA built two unique fireboats in the early 1980s. to produce a fireboat with 6,000 gpm capability. It is now part of the 3 boat Tacoma fleet. The newest of Tacoma's three boats is the 2015 MetalCraft Firestorm 50. 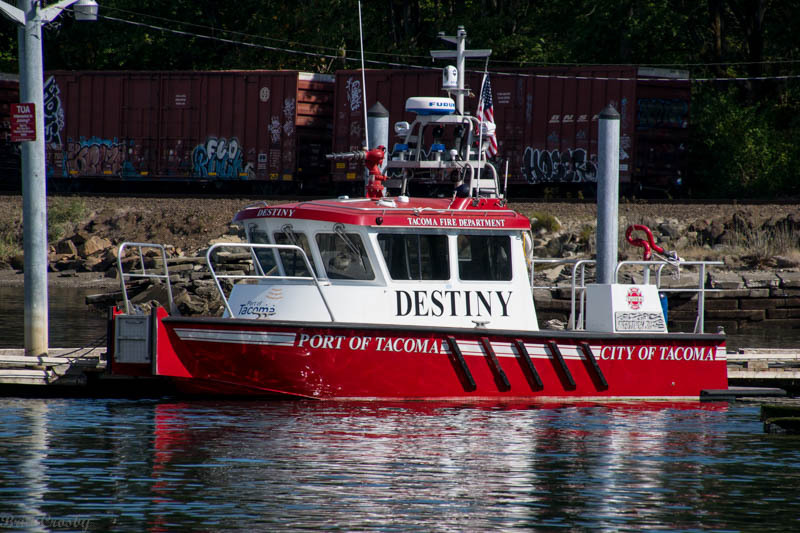 The "Destiny" is a MetalCraft Firestorm 30 built in 2012. The boat is capable of 1,800 gpm. Vancouver, WA is located on the Columbia River across from Portland, Oregon. 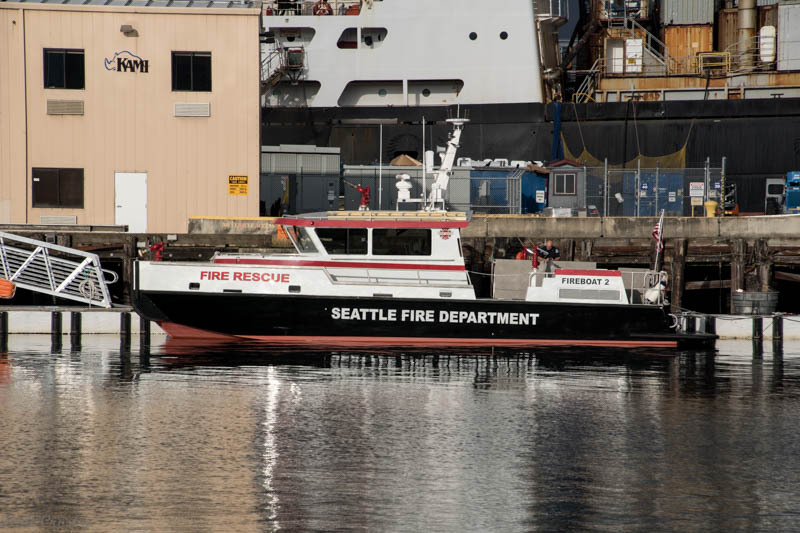 Munson Boats built their 46' landing craft style fireboat in 2014. It has a 2,500 gpm pump.